Nelson Soler is an innovative entrepreneur who has founded two for-profit and three non-profit organizations. Soler has utilized his educational and advocacy capacities to facilitate the formation of more than three thousand two hundred enterprises in the greater Milwaukee area. Thousands of individuals have benefited from Soler’s expertise in: entrepreneurship, accounting, nonprofit management and marketing. Soler’s accomplishments received recognition by the national and local media. As a result of that recognition, Soler received the United States Small Business Administration Award from the State of Wisconsin in 2007. In 2009, Nelson Soler was named the Chamber Executive of the Year for Region 4(IA, IN, IL, KY, OH, MN, MI and WI) by the United States Hispanic Chamber of Commerce. Soler was also named the 2011 UMOS Hispanic Man of the Year for his contributions to the advancement of the Latino and received an Individual Inner City Award by the Greater Milwaukee Committee. In 2012, the Hispanic Professionals of Greater Milwaukee named Soler the Entrepreneur of the Year and in oler has a very diverse experience in banking, international business, mining equipment manufacturing, academia, real estate and the electric utility industry. He has lead teams in business development, international sales and documentation, ERP systems upgrade, corporate communications and training. His education includes a Bachelors of Science in Electrical Engineering (01) and a Bachelors of Arts in Economics (01) from the State University of New York of Buffalo; a Masters in Business Administration (93) and a Masters in International Business and Marketing (99) from the University of Wisconsin-Milwaukee. Soler is also a graduate from Future Milwaukee Community Leadership Program (03) and the Associates in Commercial Real Estate Program (08) from Marquette University. Additionally, he holds a Wisconsin Real Estate Broker’s License, a Next Level Entrepreneurial Instructor Certification, an Economic Development Financial Professional designation, Enrolled Agent Designation by the US Department of Treasury and a QuickBooks ProAdvisor Certification. 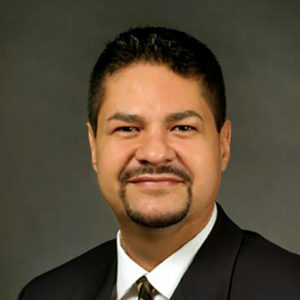 Soler’s community involvements include: Commissioner in the Milwaukee Fire and Police Commission, Executive Founding Director of the Latino Entrepreneurial Network of Southeastern Wisconsin; Founder of the LEN LULAC Chapter; and Advisory Council Member for Wisconsin Bank and Trust; Member; Hmong Wisconsin Chamber of Commerce; Member, African American Chamber; and Greater Milwaukee Association of Realtors.